BRING ON THE HONEST REVIEWS! Day one: furiously scan internet every hour for new reviews. Bask in good reviews. Agree with bad reviews. Day two: Check internet in morning and evening. Enjoy good reviews. Agree with bad reviews. Day three-seven: Check internet once a day. Occasionally scan goodreads. Wonder if anyone’s put anything up on Amazon. Day eight: Move to writing next novel. 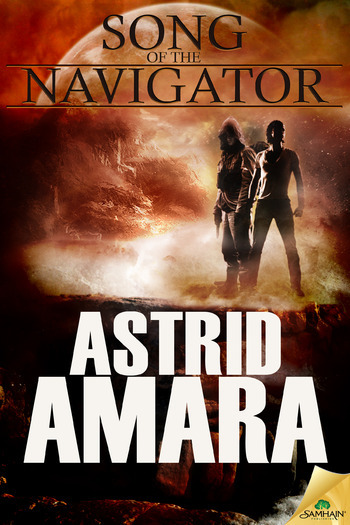 Song of the Navigator’s process is a little different though because a) I did a blog tour and b) I wasn’t sure if people would put up with the violence. So I checked it a little more. Coworker: Why are you smiling? Me: My book is in the top 6,000 on Kindle sales! Coworker:…. Is that a good thing? … Obviously context is everything. But for the most part I don’t dwell on sales and reviews. It’s not a healthy habit. Mostly because I tend to agree with almost all bad reviews. Of course sometimes reviewers get it backwards. The thing about reviews and opinions about books, is that the only guarantee is that everyone will have a different opinion. I’ve read books that people raved about and gone “meh.” Books are like music – what turns you on is going to differ from what turns everyone else on. For example, I love this band Interpol. But I’m hard-pressed to explain why I like them. In fact, I totally agree with people who find them boring. But there’s something about some of their songs that take me to a magical, melodramatic place in my mind. There’s an entire scene in Song of the Navigator that probably wouldn’t exist without the song The New by Interpol. Similarly, a whole scene in The Archer’s Heart was thanks to Muse’s Micro Cuts. I’ve played my favorite songs for people and they’ve shrugged. Similarly, they’ll make me a CD of their favorites and I feel nothing. Clearly artistic taste is personal, which is why no author should get upset about bad reviews. Of course, sometimes I want to explain myself to reviewers. “Um, actually, that is spelled that way because it’s the Tatar version of the name.” But I don’t because the golden rule as an author is to not respond to reviews, in my opinion. They exist for the benefit of other readers, not you. You no longer matter. You made the work, you released it into the world, and you gotta to let it go. Like a baby. Or a fart. And besides, no critic can ever be as judgmental as myself. I end every book thinking “that is the worst piece of crap I’ve ever written.” Then flash forward a few months, and I can objectively look at it and say “yeah, okay, I like that scene.” But when I see a finished book, I am too aware of the flaws. I have books I’ve written that I’ll never look at again, let alone read the reviews for them. Which is silly, of course, because one of the books I hate the most that I wrote is actually quite popular, so there’s no accounting for my bad taste. Anyway, the point of all this rambling is that I love review sites that are honest in their opinions and really say what they feel about a work, either good or bad. As a reader of m/m romance, I rely on honest reviews. As a writer, I appreciate the honesty because a lot of times things are pointed out that I hadn’t even thought of. So bring on honest reviews, review sites, and thanks for all you do, as a writer and a reader. And as a thank you for reading my rant, I’m hosting a giveaway! Comment below and you’ll be entered to win either a digital copy of The Devil Lancer or a Song of the Navigator magnet, perfect for holding up pictures of your current TV boyfriend on your fridge (mine’s got Captain America, in case you’re wondering)! This entry was posted on June 5, 2015 by BioB in Guest Post and tagged astrid amara.